Because it is so important that our elected officials and public servants base public policy decisions on correct information, and input reflecting the values and needs of New York residents and constituents, the Dog Federation of New York is pleased to share a series of "talking point" flyers for concerned dog owners and pet lovers. We invite you to take these flyers with you when you visit your representatives. Watch this spot for additional flyers on other subjects of concern to caring New York dog owners. The Truth about. . .
Keep in touch! Join the DFNY elist for further information on these and other issues! March 5, 2009 – New York, NY -- Responding to irresponsibly-worded statements circulating on the internet regarding New York’s dog and animal fighting statutes, members of the Dog Federation of New York (DFNY) today provided the facts for worried pet lovers. Contrary to recent media coverage, New York’s anti-dogfighting statutes are among the most comprehensive in the nation. The abhorrent crimes of organized dog and animal-fighting are serious offenses in New York, and DFNY hastened to correct any mistaken impressions that these crimes are common. The New York-based ASPCA enforces animal cruelty laws, including anti-dogfighting statutes, in the City of New York. The ASPCA cautions that dogfighting exists all over the United States, but that it is not prevalent in New York City. 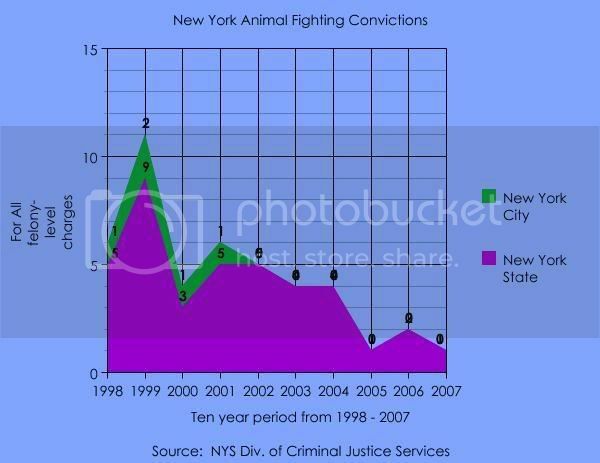 Information made available by the New York State Department of Criminal Justice indicates that for the last ten years, the number of convictions per year on animal-fighting charges in New York City typically hovers in the very low single digits. For several years out of the last ten, no convictions on animal-fighting charges were recorded for New York City. Statistics for New York State follow a similar pattern. “Dogfighting is a heinous crime with serious consequences. We want to make sure that New York’s caring dog owners and pet lovers, and our public officials, have the facts before them,” said Ms. Goer. DFNY offers its resources and assistance to the public and community leaders to help educate the public on New York’s dog and animal fighting statutes and related issues. The group’s website offers information on these topics. 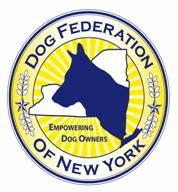 The Dog Federation of New York is a statewide coalition of dog clubs, organizations and individual dog owners that serves the public interest by educating citizens and public officials on dog safety and responsible dog ownership. DFNY advocates for strong, and humane dog-related legislation and is committed to working with municipalities across the state to implement preventative dog safety education. Read New York State's statutes on animal fighting.